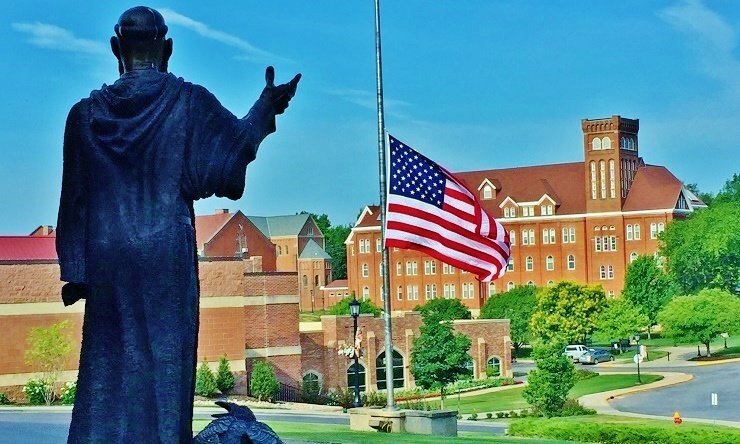 Benedictine College is once again asking heaven for help in protecting religious freedom. Students at the Atchison, Kan., campus will join students across the nation in prayer this Wednesday for the annual See You at the Pole event. Every year on the 4th Wednesday in September, students gather at flagpoles outside their schools to pray for global religious liberty, national leaders, and their school’s administration. Benedictine College’s inaugural See You at The Pole event for students will be held at the Haverty Center flagpole Wednesday, Sept. 28, at 7 a.m. This is the latest in a series of prayer events at Benedictine College religious freedom. – At the recommendation of Kansas City Archbishop Joseph Naumann, President Stephen D. Minnis launched the Memorare Army for Religious Liberty, an initiative that has collected millions of memorare prayers for religious liberty from every state and several countries. 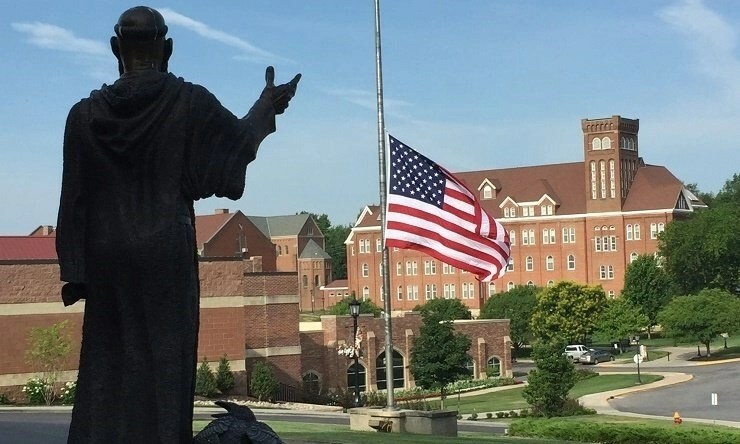 – Starting with the first Fortnight for Freedom in 2012, Benedictine College has been a key participant in rallies for religious freedom in Topeka, Kansas. 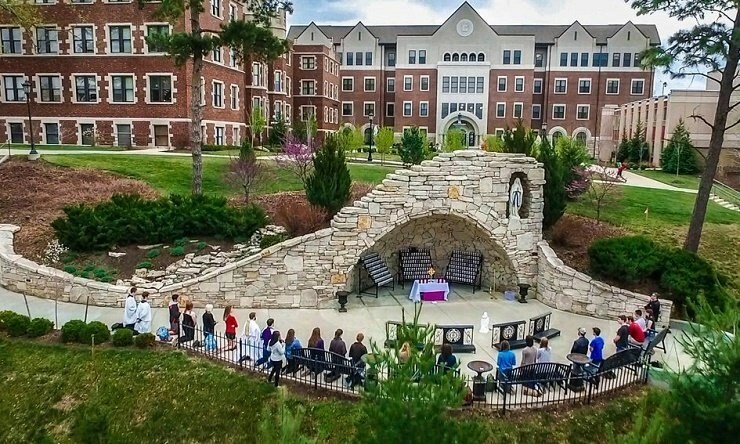 – Last March, the college participated in a Day of Prayer and Fasting for Religious Liberty with Eucharistic adoration at Mary’s Grotto (pictured below). – On Sept. 8, the college launched a daily campus rosary in preparation for the 100th anniversary of the Fatima apparition. Fatima intentions include conversion for the nation. They were soon issuing a challenge to other students to pray at flagpoles. “At 7:00 a.m. on September 12, 1990, more than 45,000 teenagers met at school flagpoles in four different states to pray before the start of school,” say organizers. The movement continued to grow and a year later — on Sept. 11, 1991 — 1 million students gathered at flagpoles, coast to coast and from North Dakota to Texas. Today, the initiative includes 3 million students in 20 countries. President Minnis said Benedictine College has committed to praying for religious liberty in a variety of ways for years.